Spring flowering. 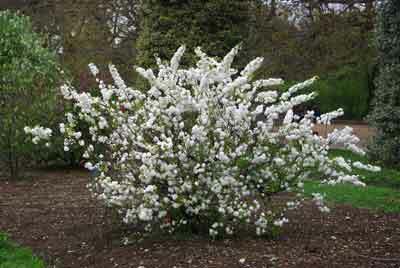 Clusters of double pretty white flowers along its stems and spikes. 'May' bush like. Uses; perennial borders, shrubberies and rockeries.